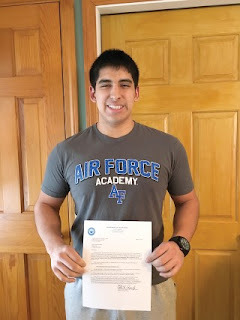 Congresswoman Chellie Pingree announced today that James Mannette from Windham has accepted an offer to attend the United States Air Force Academy in Colorado Springs, Colorado. Pingree nominated Mannette to the Academy in December. Mannette graduated from Windham High School last May and currently attends the University of Southern Maine. To be considered for an appointment to a service academy, applicants must be nominated by an authorized nominating source, which includes Members of Congress.